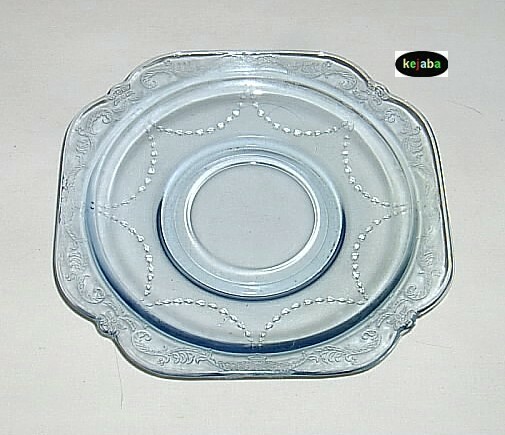 Newer reproduction blue glass saucer of the old Depression Era Madrid pattern. 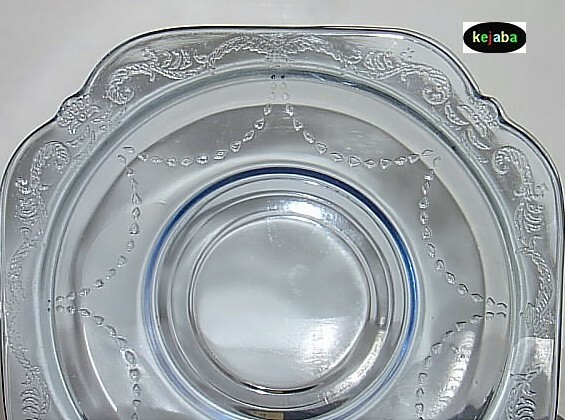 The old Madrid pattern was made by the Federal Glass Company from 1932 to 1938. This is the newer reproduction saucer made by the Indiana Glass company from a more recent date. It measures approximately 5 3/4 inches square (1 7/8 inch diameter cup ring). All items available in this listing have no chips or cracks and show little if any signs of usage or wear. This is a reproduction, not old Madrid.